Are you searching for the best place to enjoy your honeymoon trip in Tamilnadu? In the state of Tamilnadu, you can find most romantic and popular destinations for a honeymoon. Here is the list and details of best honeymoon places in TamilNadu. Honeymoon time is the best time in everyone's life. These are the most precious and private moments in the life of a newly married couple. Everyone wishes to spend this golden period in a cool, memorable and peaceful place. In Tamilnadu, various destinations are considered to be best for honeymoon couples. Read this article to know best honeymoon places in TamilNadu. 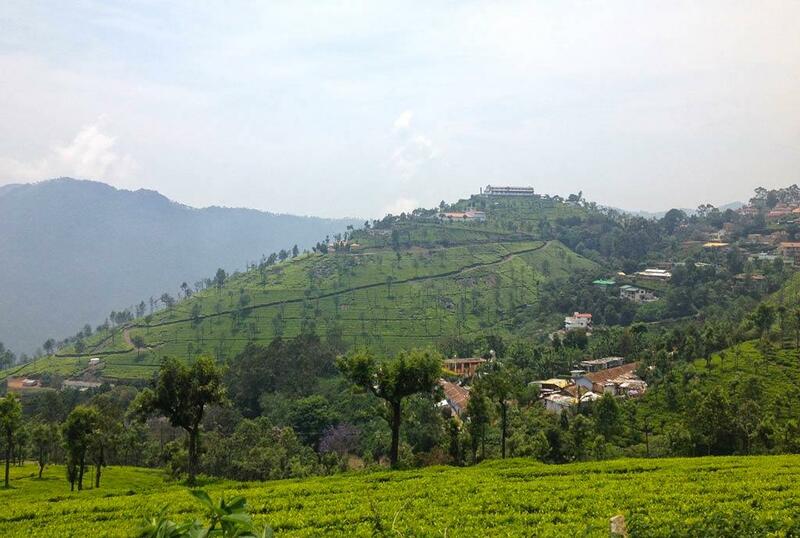 Ooty is the most popular Nilgiri Hill station in Tamil Nadu. This is the beautiful place surrounded by mountains and tall Nilgiri trees. Many couples prefer Ooty as their honeymoon places for its pleasant weather, peaceful location and eye-catching beauty of nature. You can enjoy the cool breezes in the company of nature and your life partner. This dream location is also popular for its beautiful trekking destination like Dodabetta passing through the hilly tracks, gardens and orchards. Reaching Ooty is very easy from anywhere in India. To reach this famous destination Coimbatore Airport is the nearest one and Mettupalayam Railway Station is the closest one. Bus service is also available from Bangalore, Mysore and Chennai. The period from March to June is the best time to visit Ooty. This is the summer season but the weather remains cool and pleasant. The winter season starts from November till February. The cold but pleasant weather is preferred by many honeymoon couples during this period. Kodaikanal is another best honeymoon place in Tamilnadu. This is the dream location in the company of nature. Many romantic spots like Bear Shola Falls, Kodaikanal Lake and Berijam lake for boating, Palni hills for trekking are famous among the youngster. Away from the crowd and pollution, this wonderful place gives you complete privacy and wonderful memories. To reach Kodaikanal, the nearest Airport is Madurai which is at the distance of 120 km only. Nearest railway station is located at Kodai Road which is 100 km away from the destination. From the railway station, taxis are available to reach Kodaikanal. Bus services are also available to reach Kodaikanal from the cities like Chennai, Coimbatore, Pondicherry, Madurai and much more. Winter season is the best season to enjoy the chilled weather of Kodaikanal. This is also the best time for many other activities like trekking, boating, cycling, horse riding etc. The winter season starts from the month of November till February. The summer months from March to June are also suitable for honeymoon couples as the weather remains pleasant and you can enjoy the beauty of nature. This hilly destination is loved by honeymoon couples for its amazing nature beauty. You can enjoy the view of luxuriant green tea estates, narrow twisting paths and wonderful landscapes. Visit Dolphin's nose to take the complete view of the tea plantation. Coonoor is one of the three Nilgiri hill stations. Peaceful atmosphere, scenic beauty and cool pleasant climate attract many honeymoon couples as well as nature lovers to Coonoor every year. Coimbatore is the nearest airport to reach Coonoor which is at the distance of 70 km. Bus services are available from the many cities like Bangalore, Chennai, Krishnagiri and Viluppuram. Coonoor is the only rail stop for the Nilgiri mountain railway service between Ooty and Mettupalayam. The best time to visit Coonoor is from the month of October to February as the weather remains pleasing for sightseeing. Summer season starts from the month of March till May, but the temperature doesn't exceed than 25 o C. Evening weather in cold even in summer. 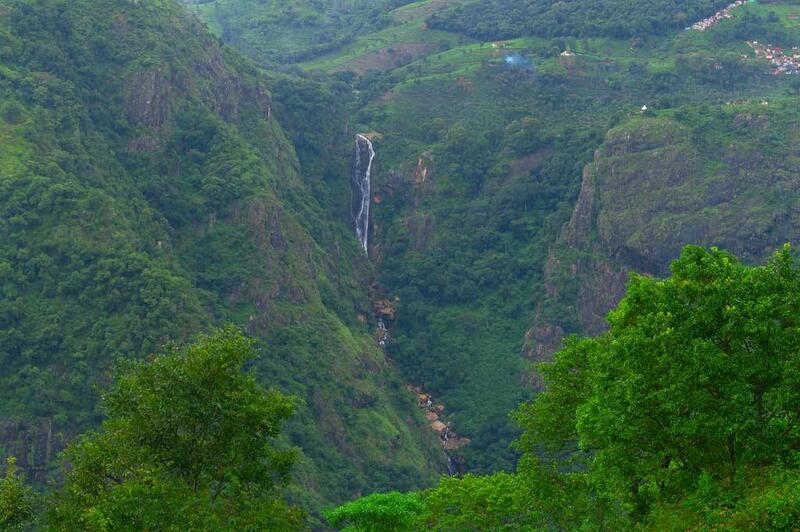 This beautiful hill station is located in the Shevaroy Hills of the Easter Ghats in Northern Tamil Nadu. 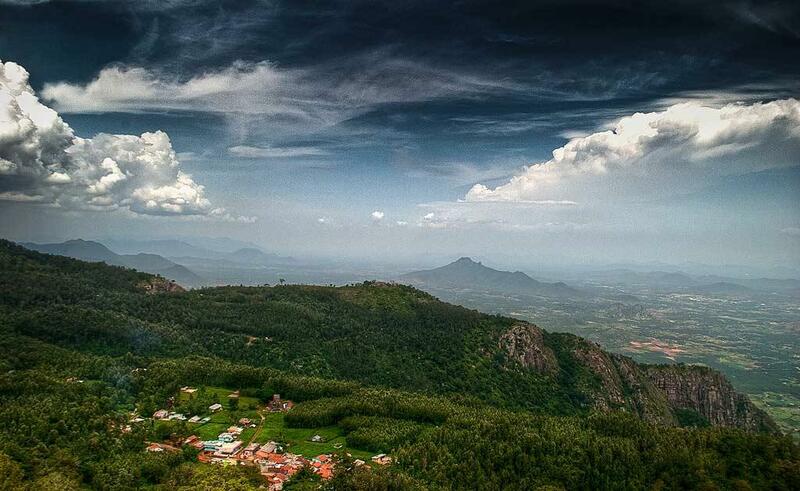 The remaining part of this region is bit Dry with Rocky hills of the Eastern Ghats but the Yercaud is full of greenery with pleasantly cool climate. The picturesque nature beauty and quiet location are the main attraction of Yercaud among honeymoon couples. This is considered as one of the best trekking destinations in south India. The sightseeing places like the lake, the Lady's seat, Pagoda Point, Arthur's Seat, Killiyur falls, Kaveri peak and Shevaroyan temple attract many visitors to Yercaud every year. Trichy or Tiruchirapalli is the nearest airport to reach Yercaud. The nearest railway station is Salem Junction and bus services are also available from the Major cities like Salem, Chennai, Madurai, Tiruchirapalli, Tiruvannamalai, Coimbatore, Bangalore and Pondicherry. The best season to visit the destination is from the month of October to June. You can enjoy pleasing weather and beauty of nature during this period. Hogenakkal falls is the famous waterfall on Kaveri River in South India. The destination is located in the Dharmapuri District of Tamilnadu. The waterfall is also known as the Niagara of India. This the another best honeymoon place in Tamilnadu for spending some moments together in the company of nature. The Hogenakkal is situated at about 750 feet above the sea levels on the Melagiri hills. One can enjoy the green blossoming mulberry fields and the growl of Cauvery River at this beautiful place. The scenic beauty of the place is the major attraction of the young couples. The place is located on the border of Karnataka and Tamil Nadu and it is accessible from both states easily. The water of Cauvery river flows through a deep forest of herbs while reaching Hogenakkal and therefore it is considered that bathing in Hogenakkal falls is very good for health. Bangalore international airport is the nearest airport at the distance of 133 km. Salem is the nearest railway station at the distance of 114 km from Hogenakkal. From Salem, you can reach the destination by Taxi. Bus services are also available from Bangalore and from Salem to Hogenakkal. 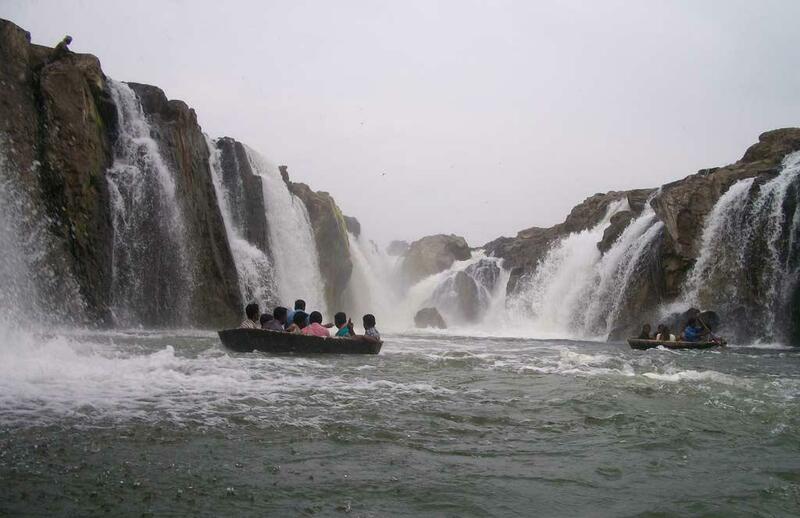 The best season to visit Hogenakkal falls is from September to March to enjoy the beauty of nature. If you wish to take a bath in falls then visit before the monsoon. During and after monsoon season you can enjoy seeing the silvery falls in its full magnificence. Honeymoon couples can visit the place during the winter season to avoid the crowd. 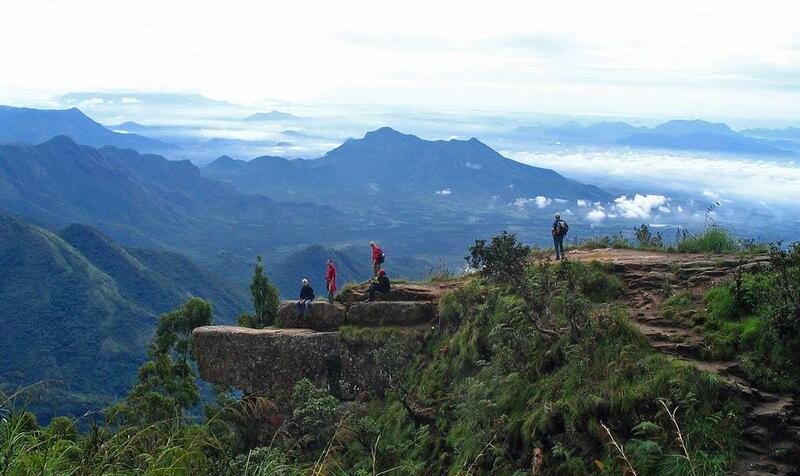 Kodaikanal is one of the most beautiful honeymoon places in Tamilnadu. The road to Kodaikanal is scenic but dangerous. We stayed there for 5 days. There are many budget Hotels and restaurants for food and accommodation. Tamilnadu sort of dry place generally has very good hill stations like Kodai and Ooty. You have explained all the places beautifully. But, I have visited a pristine location in the western Tamilnadu which is called Meghamalai national park. The Tea estate bungalows are ideal honeymoon cottages and the place is awesome devoid of any tourist activity.